The use of our uPVC doors and windows, for new build or existing homes, will provide you with an attractive solution that will provide you with the knowledge of having a low maintenance product that will remain looking good for a long time. All our windows and doors provide a high thermal efficiency and the glazing may be tinted, patterned, leaded, or solar reflective. 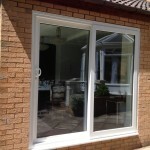 They require minimum maintenance and the frames are available in colours other than white. In the early stage of your design, the technical team at Acorn Glass will work closely with you to discuss your project and offer you suggestions and a combinations of options to provide you with the most suitable final solution and financially within your budget. We will work closely with you during the installation and post completion period to ensure that all of your requirements have been fully met. A full range of door products is available that include sliding patio doors, front entrance doors and rear exit doors, along with a full range of window products that include casement windows, sliding sash windows, horizontal sliding windows and tilt and turn windows. 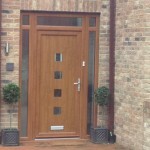 Our doors and windows come complete with a choice of locking and security options that includes opening restrictors. Our tilt and turn windows are ideal for use in multi storey structures or for use as a means of escape in domestic housing. They are able to provide ventilation to the property and are thermally efficient, secure, versatile, easy to operate and make cleaning of the glass able to be carried out from inside the building. At Acorn Glass we can help you extend your home and let your home merge in with your garden by working with you on creating light conservatories with large glazed areas that you can use as a space to sit and relax in or use as an open and light living or dining area. Our glazed areas can incorporate sliding or french doors, with or without side or overhead panels, to enable you to fully, or selectively open up any elevation. 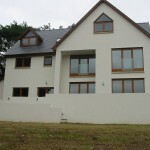 All our windows and doors will comply with secure by design, a police authority security design recommendation. Opening roof vents, solar control glazing, integral blinds and tinted options are also available to help make your new glazed area as comfortable as possible and enable you to use it all year round.